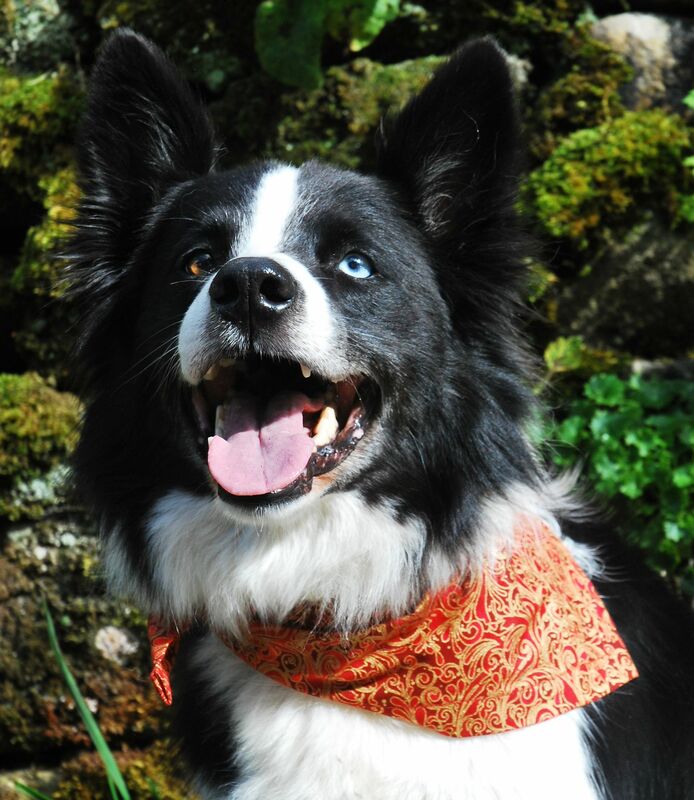 A fabulously stylish Luxury Swirls dog bandana, perfect for Christmas, but this can be worn all the year round. 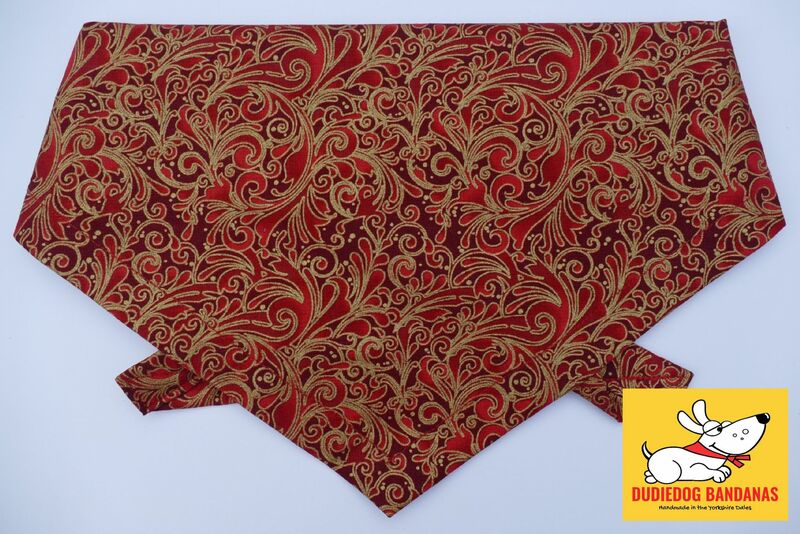 The background is a deep red, with an all over swirly, Baroque style print in rich and luxurious shades of maroon and red, with metallic gold embellishment. 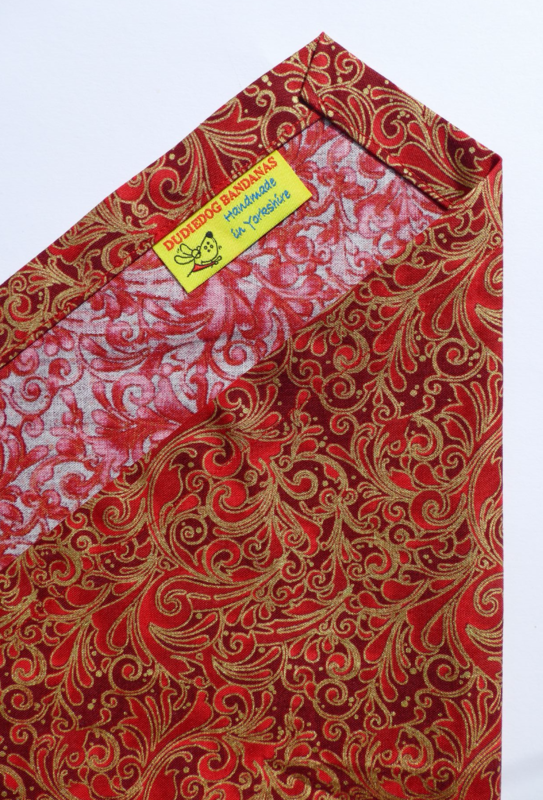 It's a really beautiful design, and is from our Premium range.